[cross post­ed at the Jew and the Car­rot]. At Pesach we drink a lot of wine. Why is it called the sym­bol of our joy? In an arid envi­ron­ment, wine can be seen a method of preser­va­tion. If you do not live or work near a well or a spring or some oth­er source of fresh water you need to have some­thing else to drink dur­ing the day. Milk does not last with­out refrig­er­a­tion; actu­al­ly, we can think of cheese as a form of dried milk (that is a form of pre­serv­ing milk). Crush­ing olives obtains oil, which while high­ly use­ful, does not quench thirst. Squash­ing pome­gran­ates pro­duces a very tart juice, but it doesn’t last long at room tem­per­a­ture. Squeez­ing dates cre­ates a very sweet paste our ances­tors called “dvash”. And figs don’t pro­duce much in the man­ner of a drink­able juice either. But, that oth­er fruit men­tioned among the sev­en species, the grape, under­goes an amaz­ing trans­for­ma­tion when it is crushed, squashed and squeezed. With just the right amount of expo­sure to oxy­gen it becomes a drink that, like a good per­son, becomes more dis­tin­guished as it ages. And so we Jews treat this juice with respect, ini­ti­at­ing spe­cial moments of our lives and our expe­ri­ences as a peo­ple by prais­ing G!d for our abil­i­ty to grow har­vest and trans­form the grape into such a won­drous bev­er­age. One year I even made some of my own. We express this awe in the words of the Kid­dush. While the Kid­dush dif­fers slight­ly depend­ing on the spe­cif­ic occa­sion, clear­ly the most fre­quent­ly recit­ed ver­sion is that sung on Shab­bat. At that time we bring to mind the begin­nings of cre­ation and our role in it as well as our lib­er­a­tion from slav­ery in Egypt. Many of us know the melody com­posed by Lewis Lewandows­ki in the 19th cen­tu­ry., but Jew­ish, litur­gi­cal, musi­cal cre­ativ­i­ty has con­tin­ued. 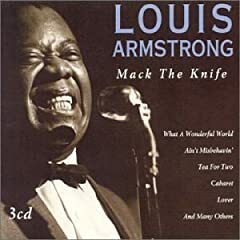 Mack the Knife sings Kiddush? The 59th Yahrtzeit of Kurt Weill is soon upon us. Weill, the son of a Chaz­zan, died April 3, 1950 which cor­re­sponds to the sec­ond day of Pesach, or this year Fri­day April 10. Among the many won­der­ful works by Kurt Weill (who is best known for “Mack the Knife”) is a Kid­dush. Kid­dush was com­mis­sioned in 1946 by the Park Avenue Syn­a­gogue in New York (at the time, Weill may have been liv­ing at 231 E. 62nd St.), where it was first per­formed by tenor solo, cho­rus, and organ, dur­ing a Fri­day night ser­vice by Can­tor David Put­ter­man. Weill ded­i­cat­ed the score to his father Albert, who sur­vived the Sec­ond World War and became a cit­i­zen of the State of Israel. I first heard this ver­sion of the Kid­dush sung by my dear friend Can­tor Richard Bot­ton at Cen­tral Syn­a­gogue in Man­hat­tan in the late 1970s and was deeply moved by its expres­sive­ness. Can­tor Bot­ton lat­er record­ed the com­po­si­tion on Rock­port Records [CD RR 5009] From Gen­er­a­tion to Gen­er­a­tion and I lis­ten to it fre­quent­ly. When my wife, R. Deb­o­rah R. Prinz cel­e­brat­ed her retire­ment from the pul­pit rab­binate at Tem­ple Adat Shalom in Poway, CA (in 2007), I pur­chased the sheet music so that I could learn and sing the Kid­dush (with a piano accom­pa­ni­ment) at the Erev Shab­bat ser­vice hon­or­ing her. I con­tin­ue to sing it often (a cap­pel­la with fam­i­ly accom­pa­ni­ment) at home on Erev Shab­bat. A record­ing is avail­able on the Web, for those not famil­iar, sung by Can­tor Gar­fein and choir (for some odd rea­son I can’t get it to play on my Mac now, and, if I remem­ber cor­rect­ly I did not find this a par­tic­u­lar­ly mov­ing ren­di­tion, though it ends with the sweet­ness it calls for). I do remem­ber when I was younger, ten, eleven years old, I must have stopped by the time I was eleven years old, lis­ten­ing to Elvis Pres­ley record­ings, the Ever­ly Broth­ers, I remem­ber. I thought they were very good coun­try singers. So I chose the Kurt Weill “Kid­dush” because this is a jazz ver­sion of the “Kid­dush”, which is the sanc­ti­fi­ca­tion of God with the instru­ment of wine, prais­ing God for being the cre­ator of the fruit of the vine, and also thank­ing God for the Sab­bath, on which this par­tic­u­lar “Kid­dush” is always recit­ed, 52 weeks a year. Tem­ple Emanu-El start­ed to use this ver­sion of the “Kid­dush” among maybe eight or ten that our Can­tor does. And at first the con­gre­ga­tion was some­what uneasy, but after a half a dozen lis­ten­ings, they were total­ly con­vinced and total­ly sold on a jazz ver­sion of the Kid­dush, nor­mal­ly that they’ve always heard in chordal har­monies, very straight, and now with a flu­id­i­ty that is so appeal­ing and so mys­ti­cal in its own way. At the begin­ning of the Kid­dush we praise G!d who enables us in our won­der­ful capac­i­ty for grow­ing, har­vest­ing and pro­cess­ing the fruit of the vine. Tonight we recline. Our reclin­ing is not a sign of lazi­ness, but of free­dom, a respite as we await instruc­tions on how to pro­ceed. No one forces us to eat on the run, at our desks, or out in the fields at our work. We can enjoy a meal that includes con­ver­sa­tion and song, a meal that focus­es our atten­tion on the bur­geon­ing year as it blos­soms around us and encour­ages renewed growth with­in us. Our meal also inten­si­fies our aware­ness of the efforts for free­dom still pur­sued by our­selves and oth­ers. After drink­ing three of our four cups of wine, we also know that we have come most of the way from the degra­da­tion of slav­ery to the dig­ni­ty of free­dom. But free­dom, like wine, can lead to a pow­er­ful headi­ness. Lib­er­a­tion itself is not the goal. We have the strength to act accord­ing to our own deci­sions. Yet we under­stand that not every deci­sion we make is the cor­rect one, mere­ly because it is ours. Though we can act out of strength, we have also learned that not by might, nor by pow­er, but by the awe­some divine attrib­ut­es of jus­tice and mer­cy will we all achieve whole­ness. And so, this year at Seder as we drink our last cup of wine, and on Shab­bat when we make Kid­dush, I hope we pause to become more aware of our strengths and abil­i­ties, con­sid­er dif­fer­ent melodies that can car­ry our words, and rejoice in the cre­ation and our lib­er­a­tion. This site is currently undergoing a major overhaul. Thank you for your patience.